Posted November 29th, 2018 by pristine & filed under House Cleaning Services. So you have decided to hire professional cleaners for your home? Great decision! Outsourcing cleaning tasks will allow you to take more control of your time, and will help you juggle your time between family, social obligations, and work more efficiently. With professional cleaners scheduled to do a detail cleaning of your house in a weekly or bi-weekly basis, you can focus your attention on starting a new hobby, learning a new skill, or even taking up a freelance job to maximize your earning potential. But what exactly will cleaning technicians do during every cleaning appointment? You may have never experienced hiring house cleaners before and perhaps are not sure of what to expect regarding the services they will deliver. Will they only clean the living areas or will they include the bedrooms and the garage? The answer is that the inclusions for every cleaning appointment you book will depend on your unique requirements as well as the type of cleaning service you choose. To help you understand what cleaners will do every time they come to your home, we cover the standard inclusions for different types of cleaning services, as well as the cleaning chores that cleaning teams are not required to perform. It’s always important to check the inclusions before you commit however and often a quick phone call to your cleaner of choice will quickly confirm what’s included. 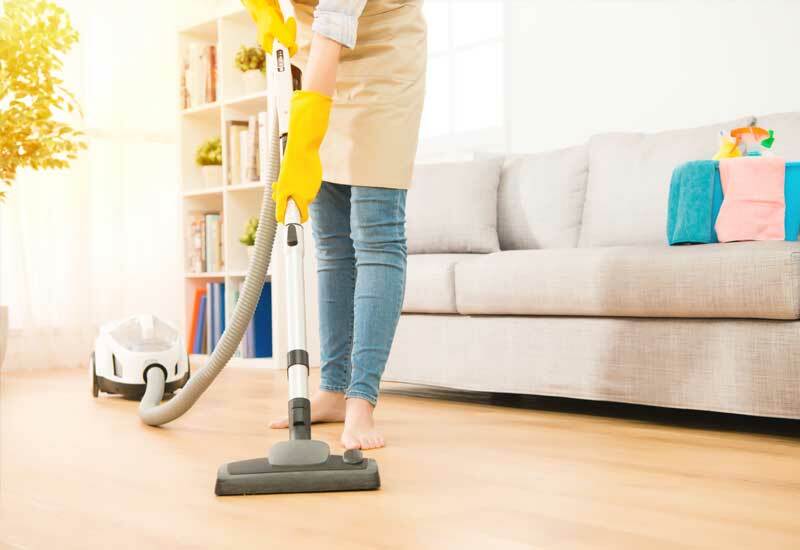 The standard inclusions for a regular cleaning service include mopping of floors, making beds, cleaning the bathroom and kitchen, vacuuming different areas within the house, and dusting all surfaces. If you are looking for a more thorough clean for your home, then you have to book a deep cleaning service in which the cleaning team will give extra attention to the bathroom tiles, kitchen appliances, and even the wastebaskets. Removal of scale from shower heads, kitchen tiles, and bathroom tiles. While it is true that a detailed clean will breathe new life into your house, it is unrealistic to think that this can be achieved in a single clean. Yes, your place will look clean and smell fresh, but it may take several cleans over the course of a few months to completely get rid of all the hard stains and dirt buildup in a property. How long it will take to get your home to a desired standard will also depend on the extent of cleaning done to your house, and how often cleaners come to your home. It typically takes cleaners a minimum of two cleans to know the flow of the different areas in a new client’s home and to develop an efficient way to complete their tasks within a stipulated time. One way you can help cleaners meet your expectations is to be very clear with them about your specific cleaning needs. If you want them to transform your powder room into the sanctuary it was designed to be, simply instruct them to focus on that area during the two to three hours they are in your house. Cleaners want to serve you well, so informing them which tasks you want them to prioritize will allow them to focus on certain areas. This one is not a strict rule, as cleaners are always willing to pick up dirty clothes and other items before they get on to the job of cleaning. But if you only booked for a two-hour apartment, you want to make sure that no time is wasted. So instead of tasking the cleaners to put away magazines and other clutter, clear up ahead of time so that they do not end up spending the first 30 minutes just putting away these items. Ensuring surfaces are clear will mean they can move more quickly around your home to do the clean. Do this, and you will get more bang for your bucks! The job description of cleaners do not involve running errands for you, like buying items from the grocery or picking up your kids from school. They’d be happy to help you in maintaining a sparkling clean abode, but they should not be tasked to take over the responsibilities that go beyond their scope of work. Generally, the duties of professional cleaners are confined to the inside of your house, so if you need someone who will assist you with grocery shopping or with maintenance issues at home, it may be better to hire a personal assistant, and a handyman for any repairs that need to be done in your property. Other things that cleaners should not do include walking your dog, unclogging the toilet, and taking care of your kids. Isn’t It Time You Hired? Hiring cleaners is no longer a luxury, as it has become a necessity for more and more people who have realized the benefits of having professionals supplement some of the cleaning chores they do. But while employing cleaners mean you can finally say goodbye to hours of removing dirt build-up in the living area and disinfecting the toilet, it pays to keep in mind that not all tasks are appropriate for cleaners. At Pristine Home, we emphasise the importance of active communication especially with clients who have no prior experience in hiring professional cleaning services. We will walk you through the standard inclusions for each service we offer, and will take note of your specific cleaning requirements so we can create a customized cleaning service to meet your needs.